Wedding rings have been a symbolic part of wedding ceremonies for thousands of years. Tradition suggests that the Ancient Egyptians were the first to offer an endless circle as a sign of their commitment to stay together forever. These first rings were often made of grasses or flowers that had special significance to the couples. 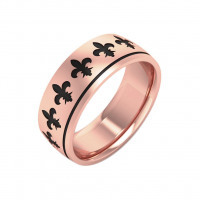 Later in history, wedding rings were made of iron to symbolize the strength of commitment. In Ireland, people began making these rings out of gold to make them lucky. 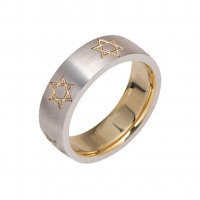 Many of these rings were engraved with symbols and messages that made them unique and extra special to the wearer.